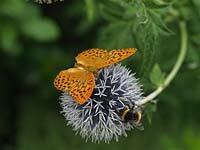 Silver-washed fritillary - Argynnis paphia lives in woods and hedged lanes. 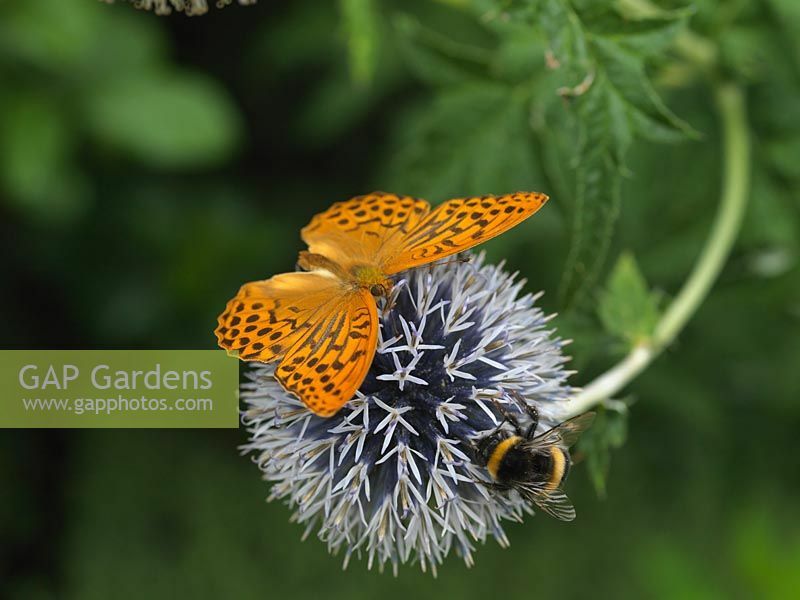 Here sharing a globe thistle - Echinops ritro with a bumble bee. Image 0482055 has been added to your cart.